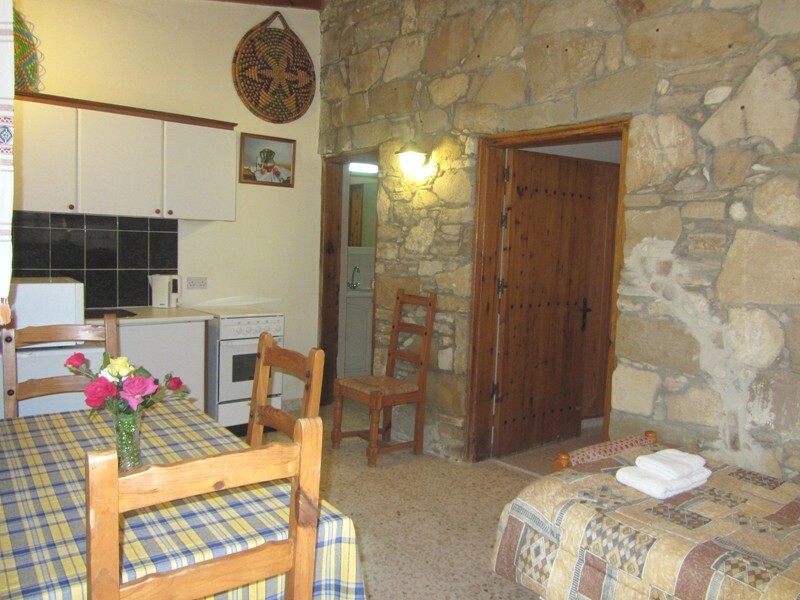 The apartment is part of a 3 bedroom stone built villa in the village of Tochni with lovely views of the village and the sea from the elevated veranda. 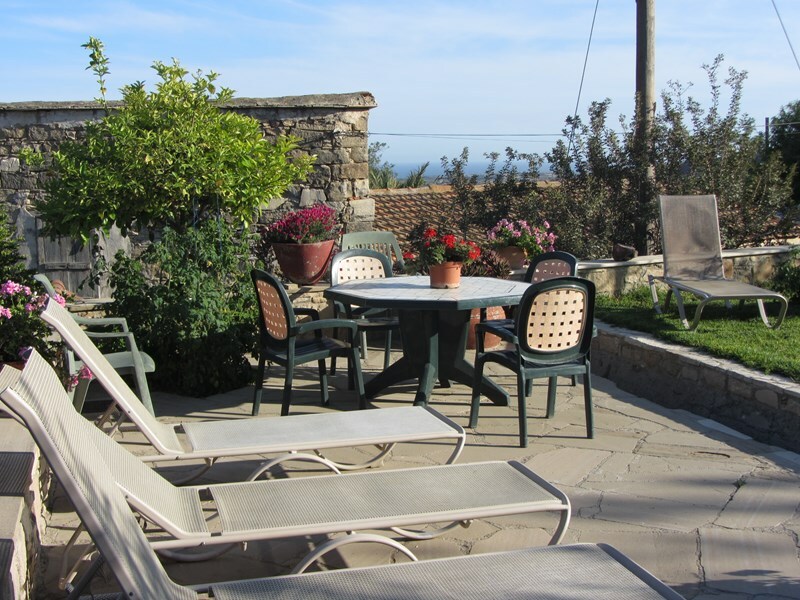 There is a delightful garden with many fruit trees, a traditional barbecue, stone yards with country style chairs and tables, sun beds, and a swimming pool. 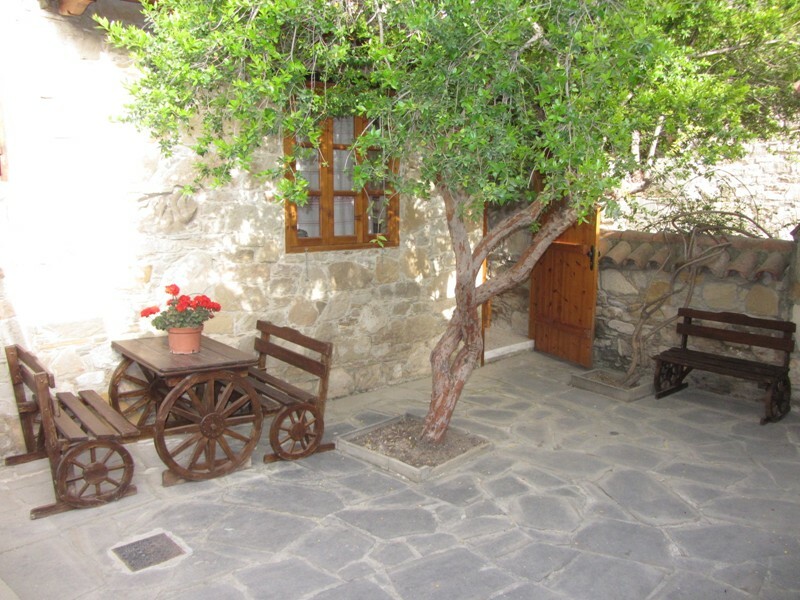 A superb Cyprus village house in a real Cyprus village. 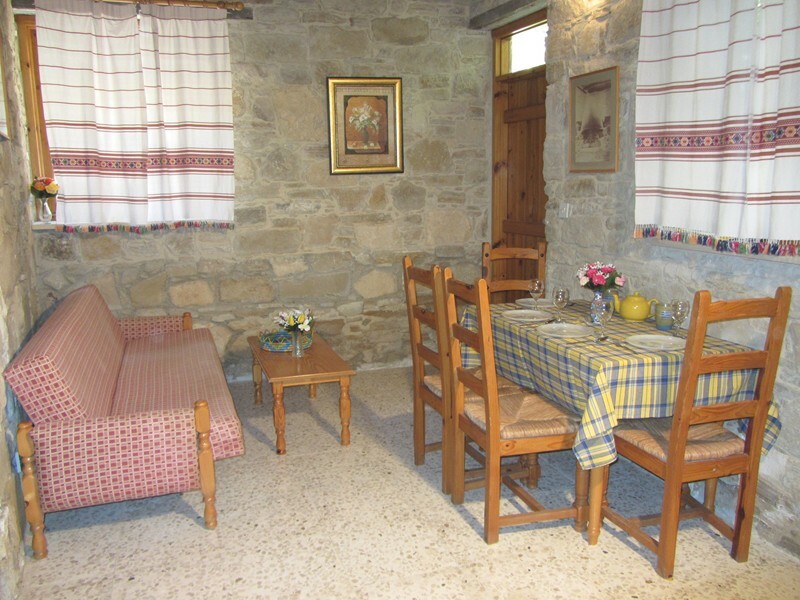 There are traditional restaurants, and mini market less than 300 hundred meters from the house. There is a horse riding center near by, Water Park, Zoo, Camel Park as well as a biker center. There are also so many ancient places of interest in the area. (Choirokitia Neolithic village, Kalavasos Tenta, beautiful Saint George nunnery which is located near the beach, the ancient town “Amathunta”, the ancient town “Kourion”, Lemesos Archaeological Museum and many more…). 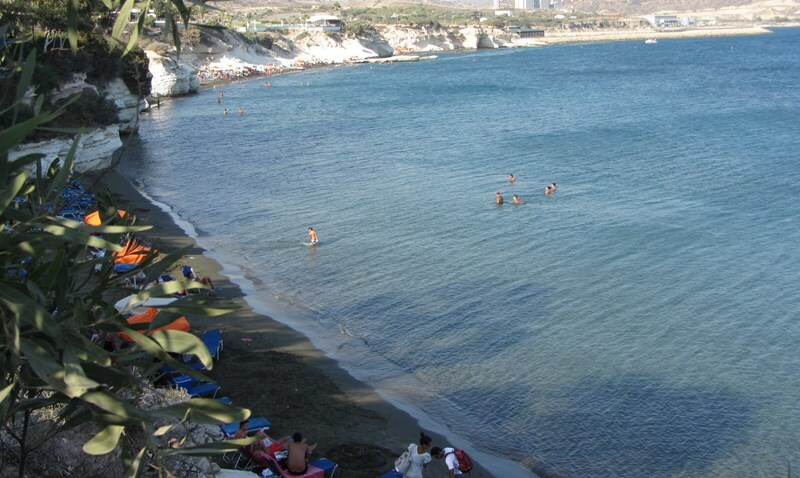 Limassol and Larnaca tourist area where you can enjoy night life is less than 30 minutes drive. 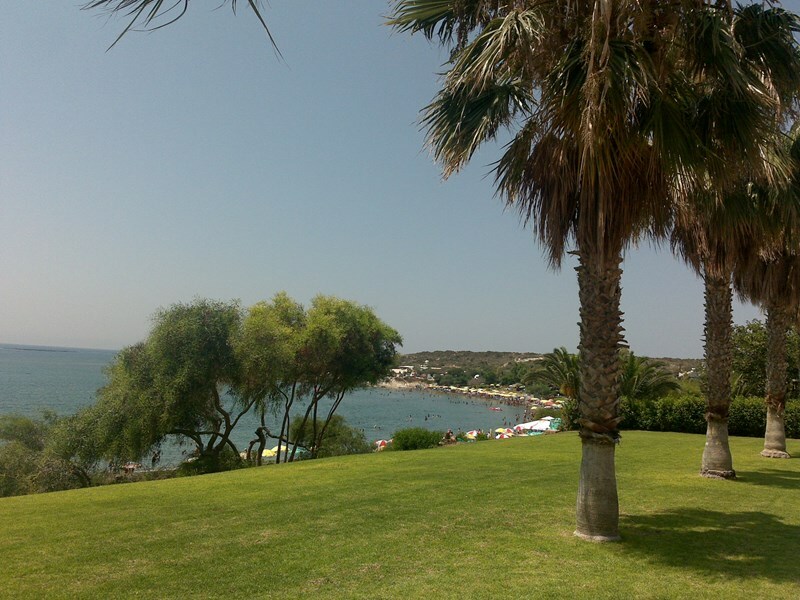 Travelling around Cyprus is easy as driving is on the left. The apartment has a double bed and a single bed in the bedroom. 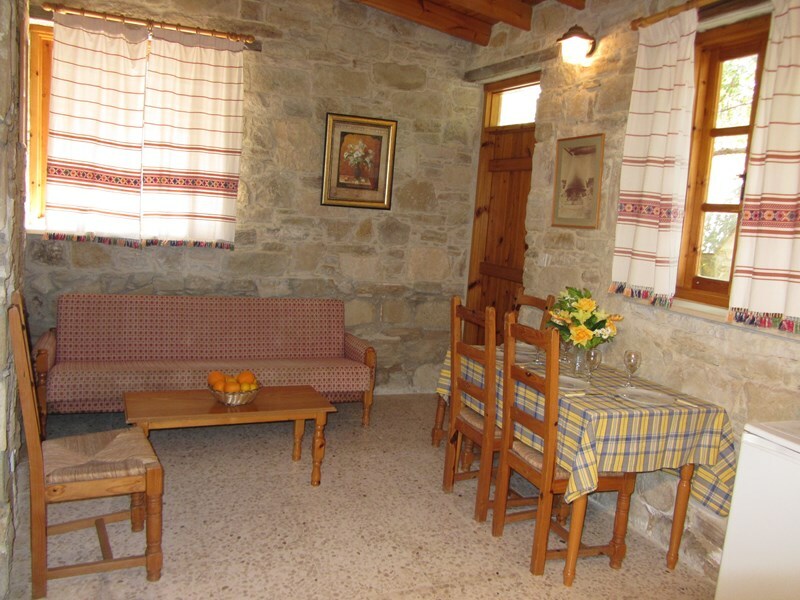 It is decorated with Cypriot traditional materials.There is air conditioning cooling and heating, and TV. Free of charge High-Speed Internet access available. 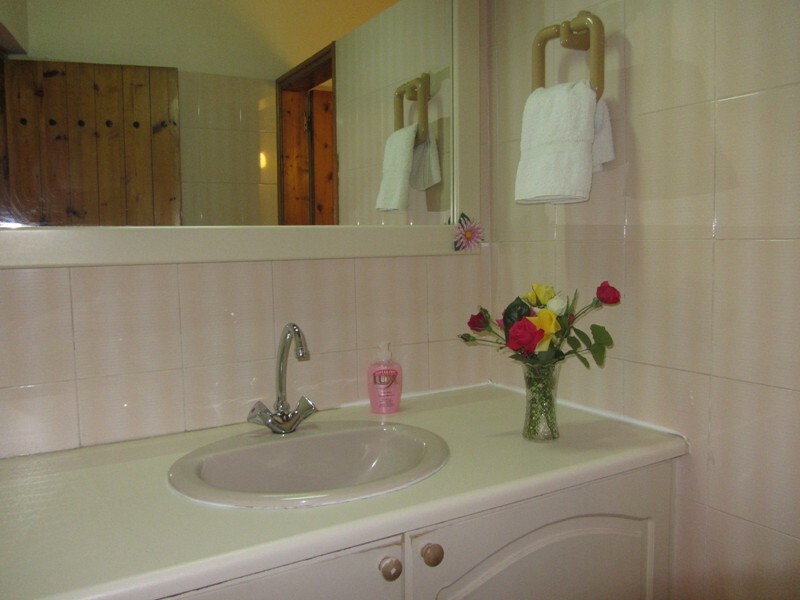 Linen and towels are provided free of charge. The apartment has an open plan dinning and kitchen area. 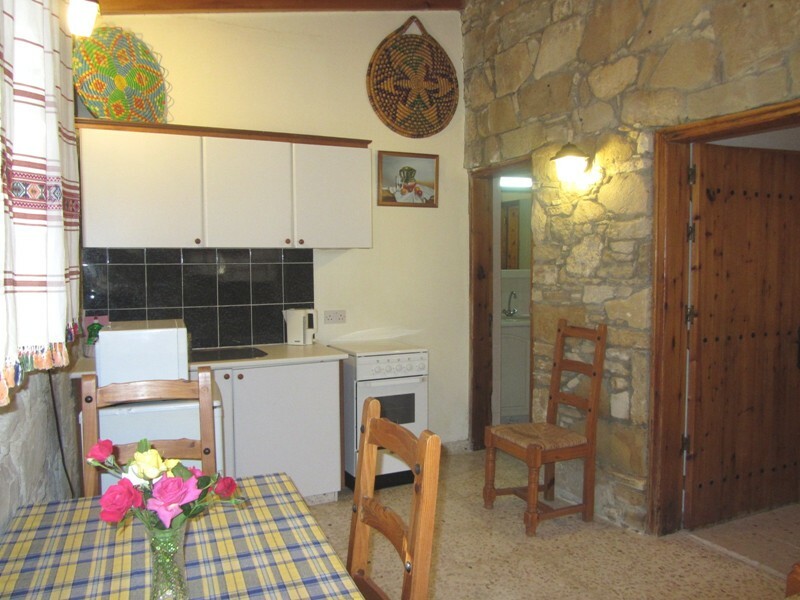 The kitchen is fully equipped with a 4 ring hob, a cooker, fridge, toaster, kettle, and also provided cutlery, crockery, glassware, cooking utensils. However eating out in Cyprus is cheap and the food is delicious, so many people don't bother to cook. A hair dryer, washing machine, iron, and iron board are also available. We had a very pleasant stay...the village was very quiet with a couple of tavernas to enjoy a meal and a drink...if you want more there are places a ten to fifteen minutes drive away. Avraam has a very nice pool and we had lunch at the apartment a few times next to the pool. Governers beach is excellent...the beds are comfortable and mostly free...lots of eateries for fish. 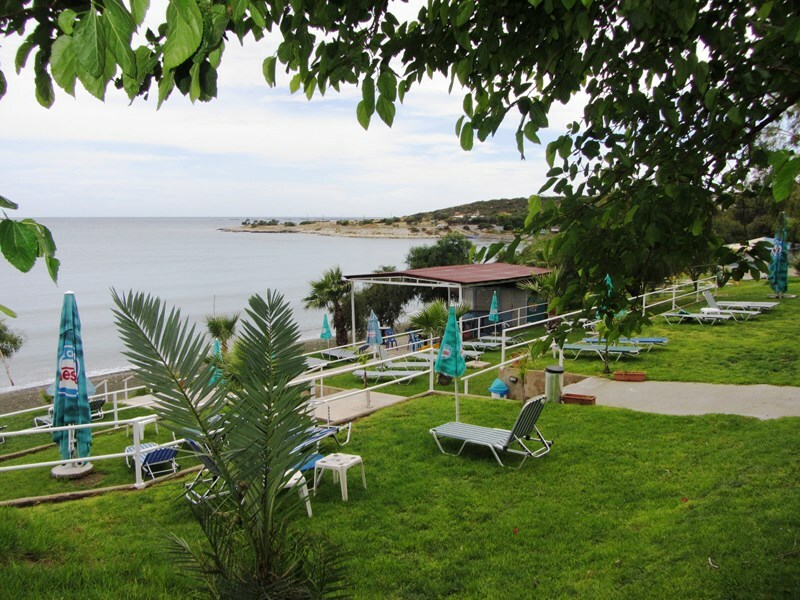 Saint elena restaurant in zygi ...the nearest coastal town is fantastic. All in all a very good holiday...would go again for sure. It was great to meet you and stay in your nice place. You are a lovely couple and we love Zorro. Cyprus was very welcoming for us and we had a great time! If you ever visit Poland please be welcome to stay in our place. Kisses from three of us!!! Abrahams is a special place to spend your holiday. 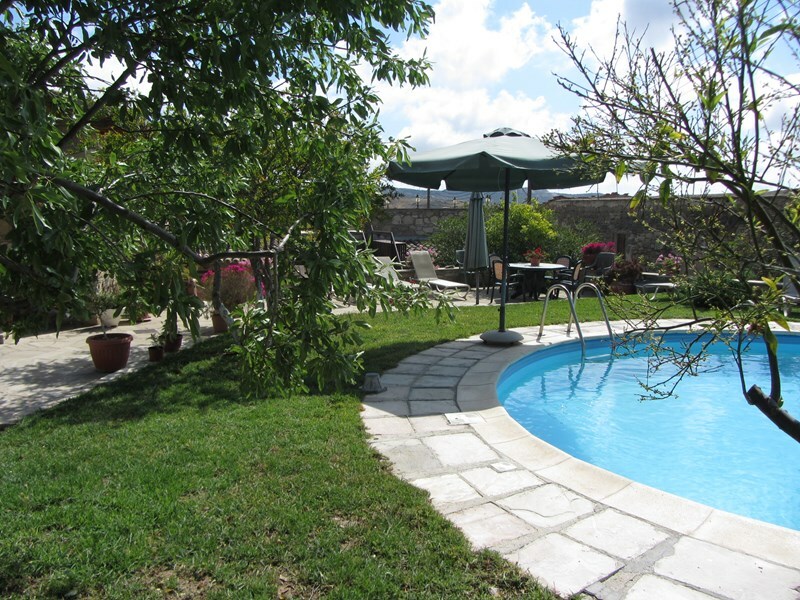 It’s a stone build house with the pool in the middle of a huge fruit garden that makes the difference. 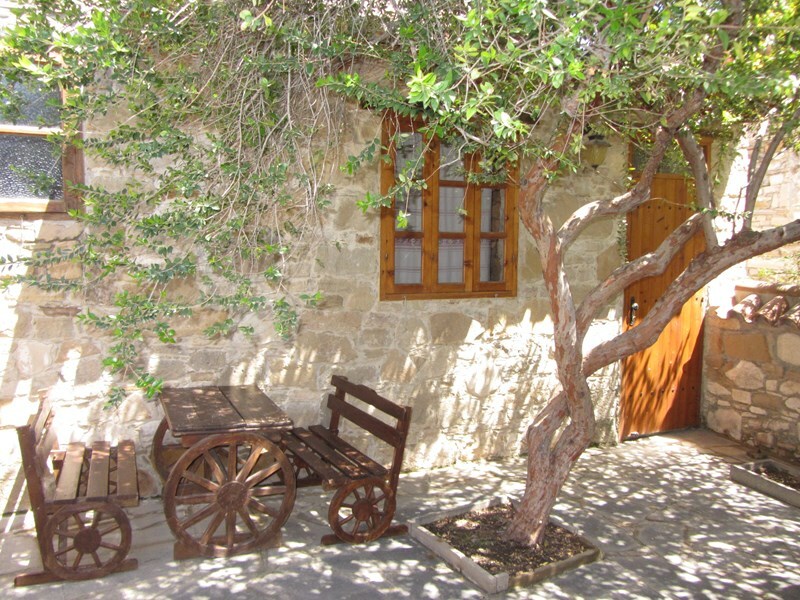 Tochni with a few traditional restaurants and a shop is peaceful tourist village with the feel for the real Cyprus. We recommend this house for those who like to relax or travel to see the island. 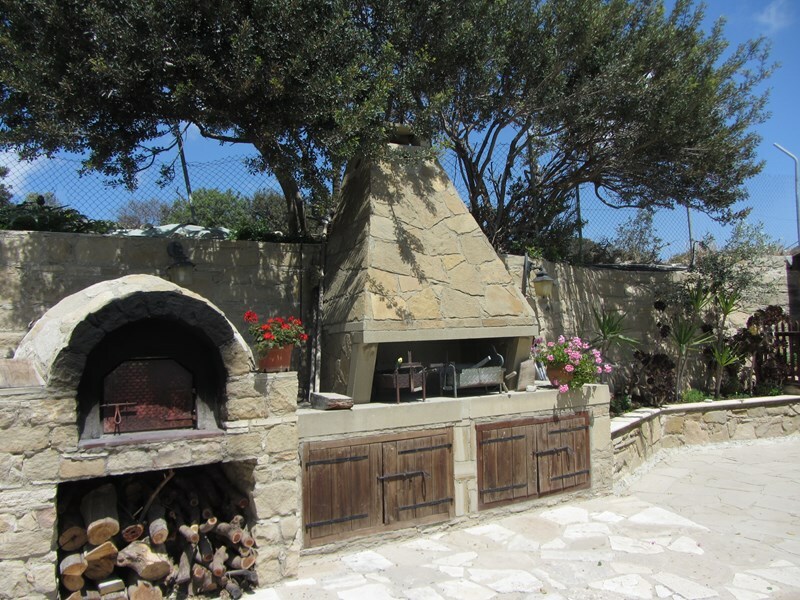 Ideal for families with children due to big outdoor space and far from overcrowded tourist resorts. Over all excellent and we shall return next year with the kids. I’ve stayed at ‘‘Abraham’s house’’ 4 times now which in it’s self a testament to how welcome you are from Avraam and Lena. 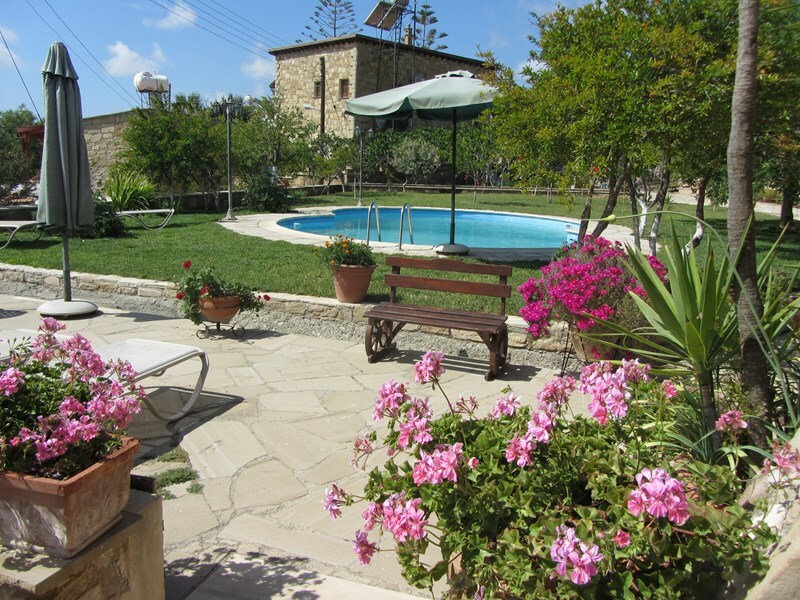 Situated on an elevated position in the small ancient village, always a nice cool breeze around midday to 4 pm and if not the pool it will give you a nice break from the sunshine. 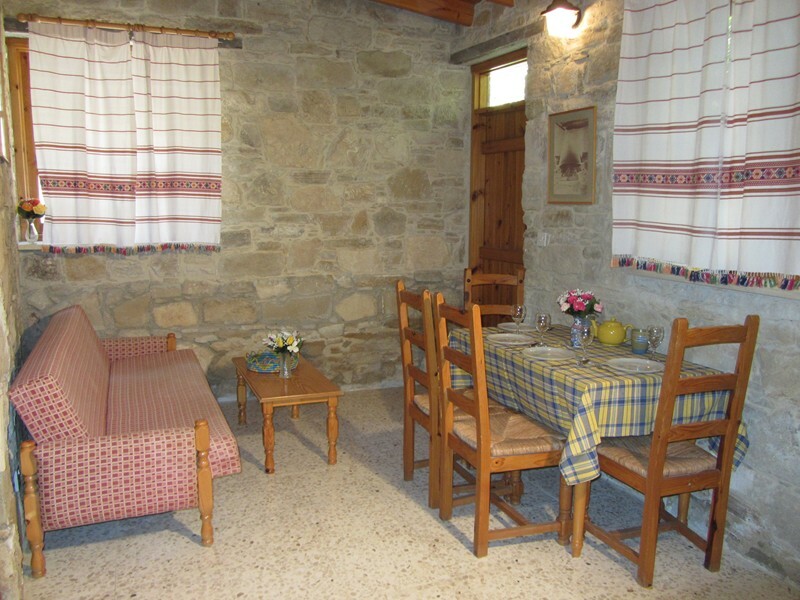 The accommodation and grounds are fantastic and very rustic. 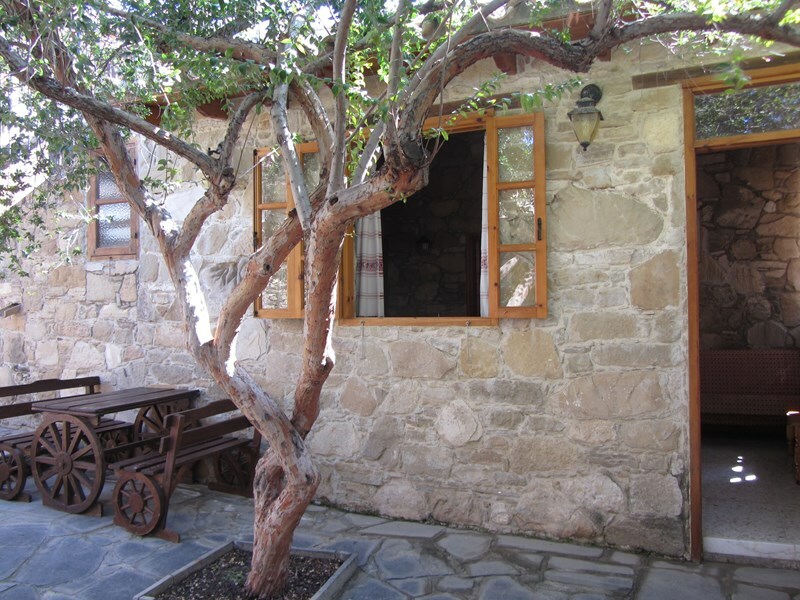 A short stroll down the hill is the ‘‘Nostos Tavern’’ and the local ‘‘Corner shop’’ whose owners Irene and Christos soon become your friends. Avraam is a keen fisherman and on two occasions now has made an amazing lunch for us on the fish he had just caught. 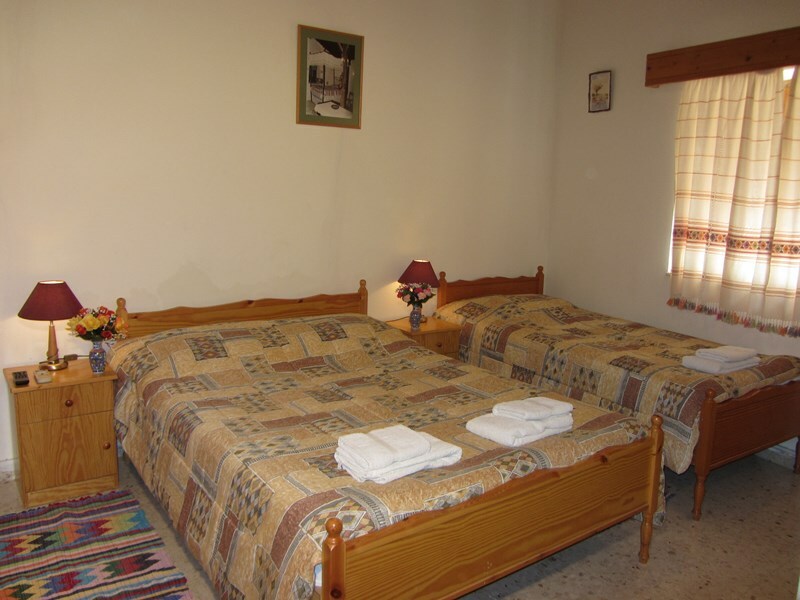 ‘‘Abraham’s house’’ is ideally located for travelling around Cyprus or you can just ‘‘chill out’’ around the pool and feel comfortably at home. 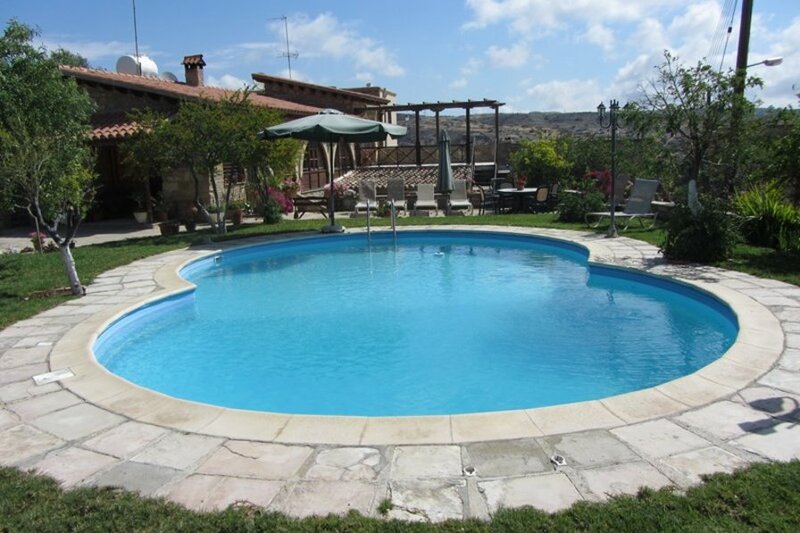 High standard accommodation lovely pool area and nice garden, very good location, peaceful and quiet, excellent traditional Cypriot taverns within short distance. We especially liked fruits picking from the garden and sunbathing under the fruit trees! Drinking wine on the top terrace in the evenings was wonderful. 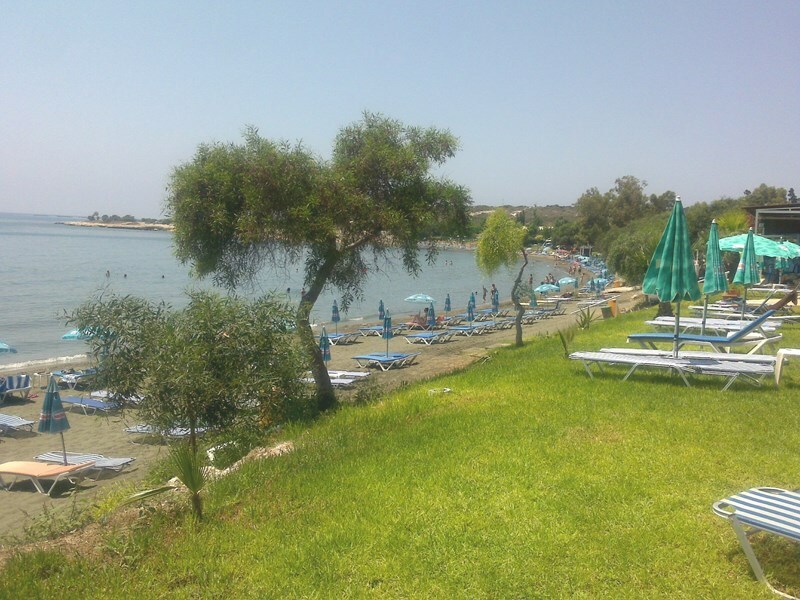 A lovely Beach is a five minutes drive away and far from overcrowded known tourist resorts. It was our second time in this wonderful property and we were pleased to see some positive improvements! Bigger fridge, nice new furniture and Abraham’s hospitality at the top! Arriving somewhere that feels like home is really wonderful! 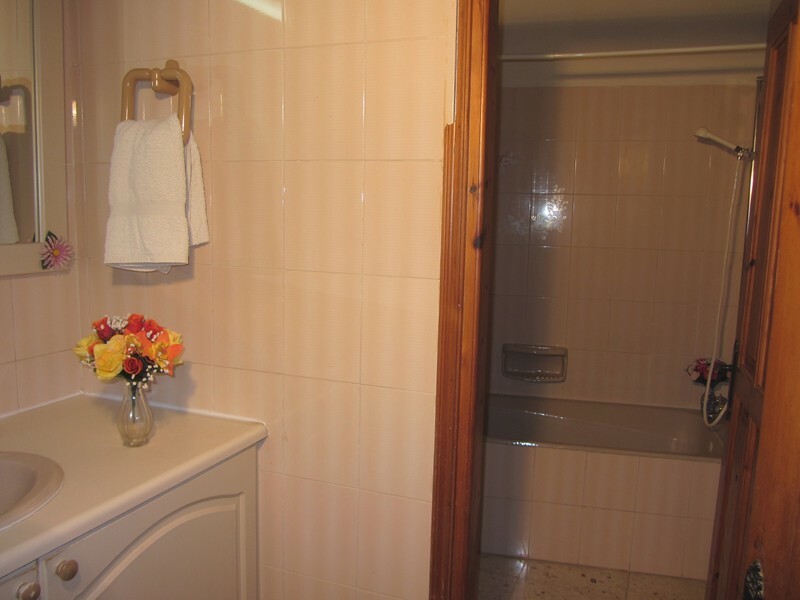 The apartment is comfortable and there is everything you could wish for, the gardens are beautiful covered by green grass and in the middle the pool, private and peaceful surrounded by fruit trees. Tochni where the villa is it is a beautiful village with a few friendly Cypriot taverns that stay open until the last person leaves and we have enjoyed every moment spending the evenings eating “meze” and drinking local wine! 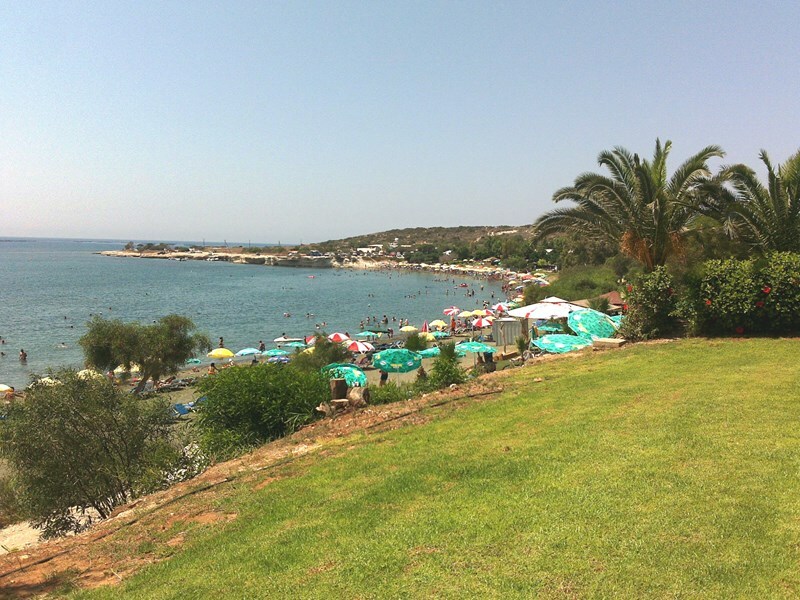 For a change… “Governor’s beach” A lovely idyllic beach is just 10 kilometres away! Abraham, thanks for the nice sea food party you have invited us and definitely see you next year! The Malabar House is one of the most sumptuous and well furnished homes I have ever visited! It has 3 bedrooms, all with ensuite shower and toilet facilites, large living-room, dining room, kitchen, also provides all amenities! Close to the ocean, good Restaurants, Art Galleries, Boutiques, Pubs, all within walking distance! The Malabar House is managed by a very charming Sri Lankan couple who will turn somersaults to ensure you enjoy a happy and healthy holiday! 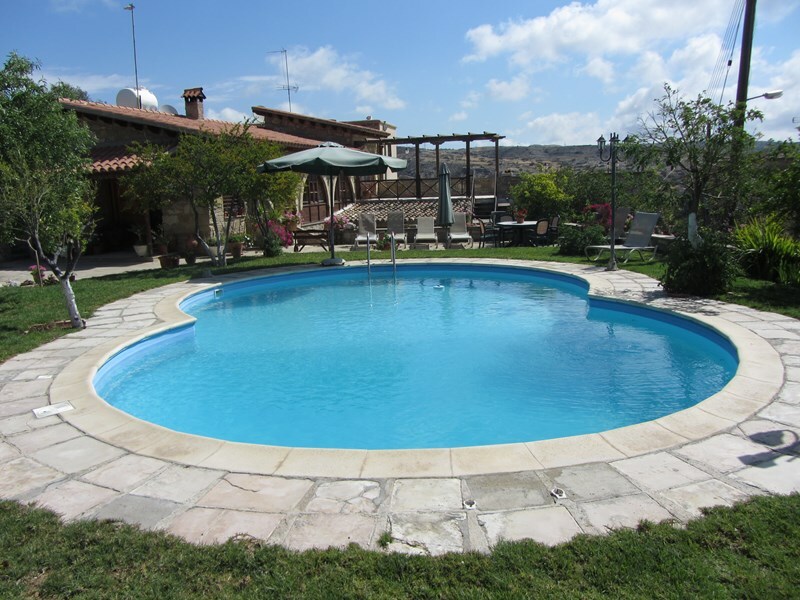 Booking a villa over the internet is a bit scary, especially when you are booking for a group - and are taking two babies and a young child - but the reviews for abrahams house reassured me and when we arrived, well, it was just perfect!! 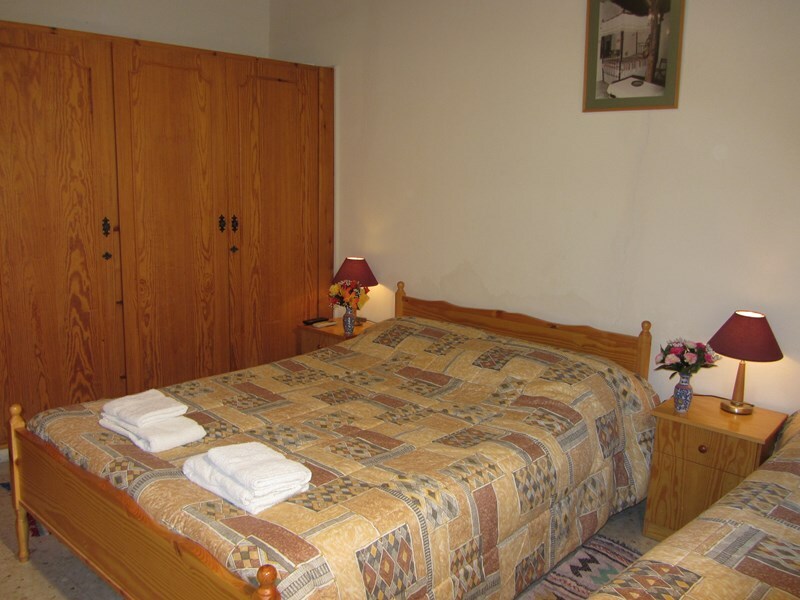 The accomodation is cool and restful, there is a fabulous pool and garden and the village is utterly unspoilt and ideally situated. Abraham is a perfect host, you can not help but have a wonderful stay, nothing is too much trouble. 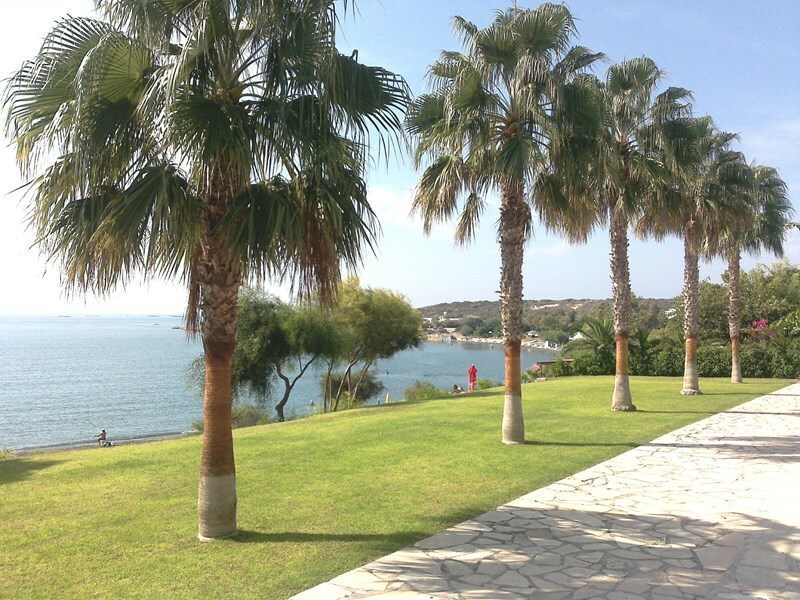 If you want to visit Cyprus, book this villa! We certainly hope to return! 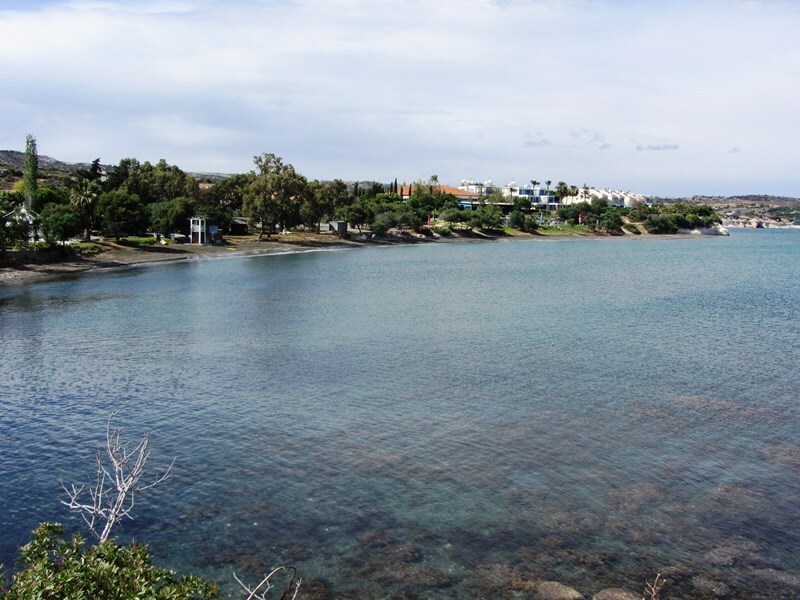 The house is situated in Tochni Village which is located right in the centre of the island, by the beach, and midway Larnaca and Limassol, two of the major cities in Cyprus. 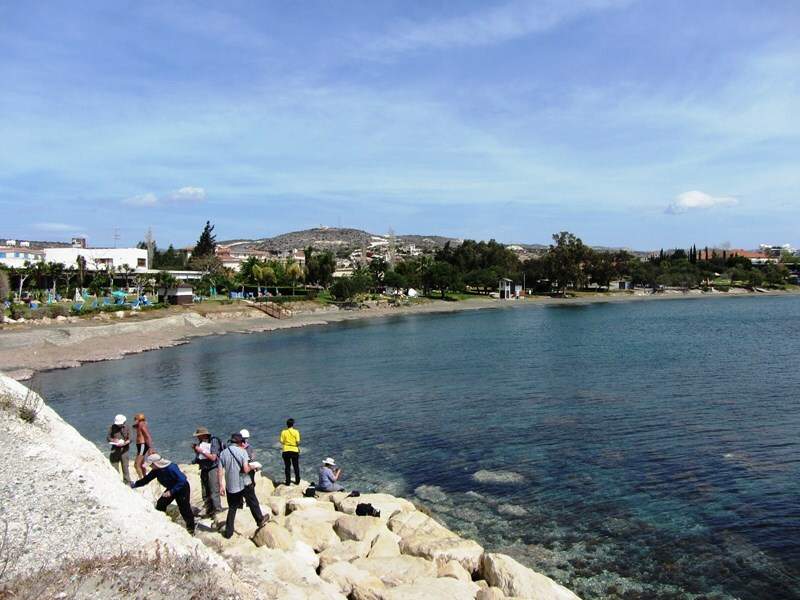 The location is a great advantage because its easy to organise day trips and see more of the island of love...Cyprus. Governors Beach, Which is only 6 kilometres away apart of it’s excellent shallow beach , also offers the spectacular white rocks area for those who like snorkelling, boating, fishing…or have a nice walk in one of the many nature trails on the hills near by, or on the beach watching a beautiful sunrise There is a grate selection of nice restaurants, where you can enjoy your lunch or dinner sitting under the trees… just a few meters away from the crystal water.